The activity kit contains simple activities that explain the underlying concepts of modern physics. 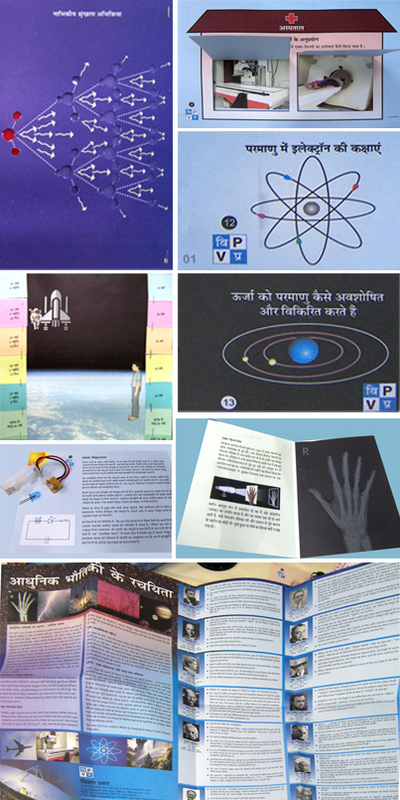 Attempt has been made to explain some of the abstract concepts like relativistic length contraction and time dilation, curvature of space-time, deflection of light through gravitational fields, photoelectric effect and so on through 28 innovative activities in this kit. The kit has been brought out both in English and Hindi.